Thai massage is wonderfully therapeutic and work to release hardness and tightness in the muscles through massaging pressure points as well as stretching the muscles, eith methods similar to yoga exercises. 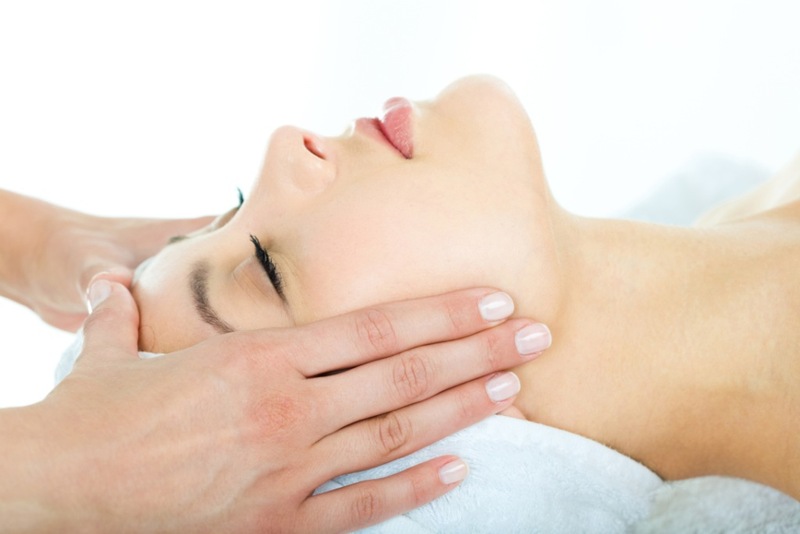 This is one of our special signature massage using only our therapist's hands and skills on problem areas. Abdominal Pulse Massage "Chi Nei Tsang Massage"
The Rasayana Meridian Abdominal Massage releases areas of tension in the bowel and other abdominal organs, allowing toxic matter to detach from the bowel wall and other tissues, so that it may be released during the colonic.This abdominal massage also helps in releasing stress that is held in the bowel, a significant cause of constipation in many people. A unique blend of Thai and Swedish Massages It will unwinds tension held in the muscles using a combination of pressure point massage, oil massage techniques and stretching. A traditional Thai herbal therapy soothing muscle tension and stiffness on key areas.This healing session begins with the application of warm Thai herbal poultice, which contains a variety of therapeutic. 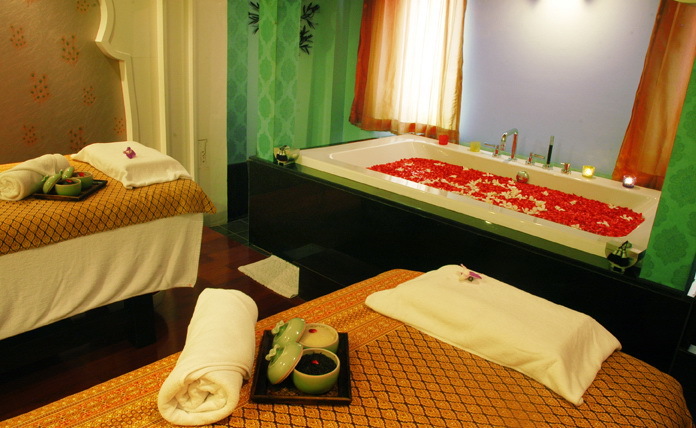 Thai herbal & spice,It is then followed by a full body massage with well-selected herbal oil. This massage manually moves lymph through the body to the bowels, carrying a variety of toxins, dead cells and old tissues, so that it can be released. A colonic, as well as drinking lots of fluids, is highly recommended after this therapeutic massage. BODY SCRUB 45 MINS 1,050+ THB. Naturally whitening, An age-old Thai beauty treatment using a blend of tamarind fruit, yogurt to exfoliate, nourish and polish the skin. This exfoliating scrub alkalinizes and nourishes the skin, healing the effects of the sun, while stimulating the circulation. Facial treatment 90 mins 1,600+THB. Deeply relaxing, ear candling is an excellent support when feeling stressed and over tired. Castor oil pack is an external application of castor oil. A piece of wool flannel is saturated in castor oil and applied to the abdomen with a heating pad. Castor oil packs improve assimilations, eliminations and circulation especially of the lymphatic system. An important part of the Cleansing Program, the Rasayana Body Detox bath combines a Sea Salt Scrub, with ingredients, such as Juniper, Green Tea and Apple Cider Vinegar, known to activate elimination through the skin and lymph. 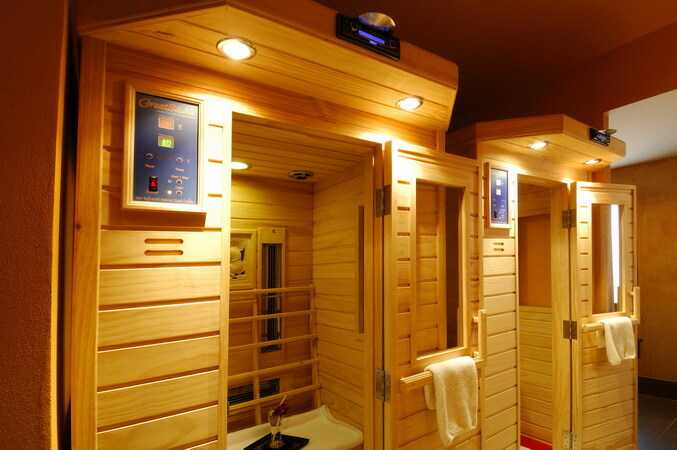 Unlike a conventional sauna, the Far-Infrared sauna heats the users skin directly without heating the air, and penetrates the skin up to 1.5 inches, effectively supporting the body to release toxins.The energy used by the body to send more blood to the capillaries and to convert fats results in as much as 600 calories to be burned by the body in a 30 minute session.